Laura Rose by Laura Biagiotti. This is a chypre floral fragrance for women. It contains notes of black currant leaves and buds, crystallized orange and lemon, Bella rose, yellow freesia, Milan bread Panettone, patchouli and crystal musk. 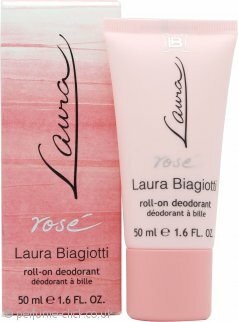 Laura Rose by Laura Biagiotti was launched 2009.